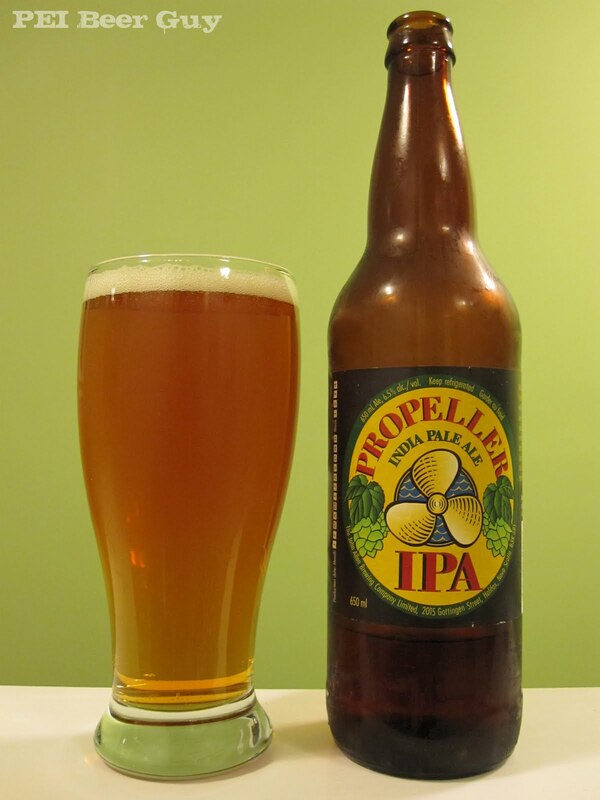 This IPA pours an apricot orange with a bit of minimal head and solid lacing. The smell - to be disappointingly honest - has almost a bit of skunk to it. I was expecting great hop scents, and it smells more like a European lager (it was bottled only a month prior to drinking). There is a bit of malt in the smell, like an amber ale - some toffee, almost. The flavour has a bit of fruit from the hops, and is bitter like an American IPA. There are some citrus notes, but they're really subtle. This beer has a stronger malt profile, with caramel and toffee, than it does fruity, fresh hops. Not quite a British IPA either, it's more like a combination of an ESB, a lager, and something else that eludes me at the moment. The carbonation is a bit much. The finish is dry, with a medium bitterness and body. Overall, it was OK, but it didn't live up to what I thought it would or should be. I have heard good things about it, though, so will try it again in the hopes that I just had a poor bottle.